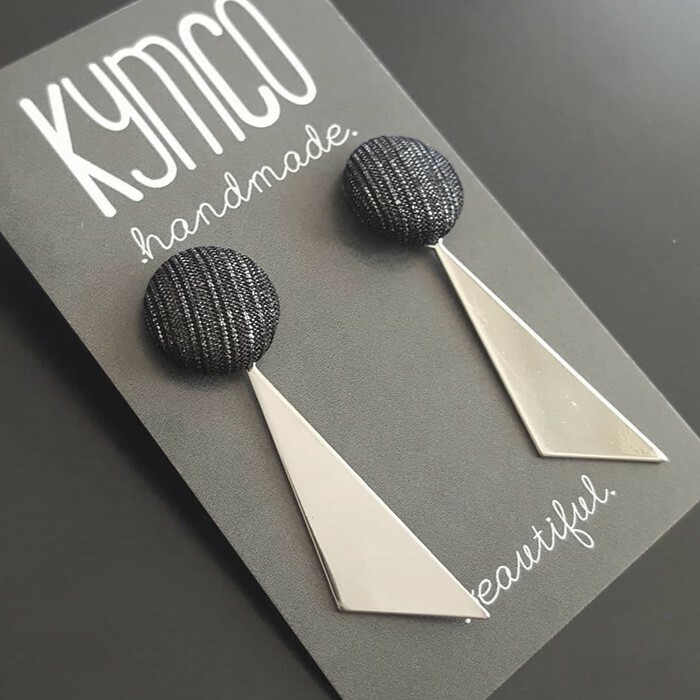 These stunning earrings will add a special touch to any outfit with a handmade fabric black shimmer stud + silver triangle, ready for you from KymCo Handmade. This is a one-off creation! Surgical steel earring post to suit sensitive ears. Super light weight for wearing comfort. Please allow 2 business days for your order to be packaged and posted.